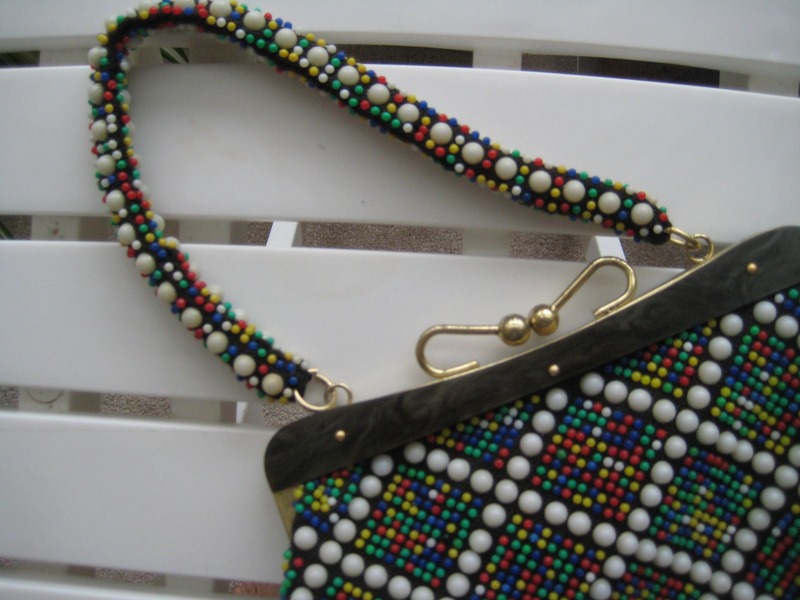 Multi-Colored Beaded Handbag - Cute! 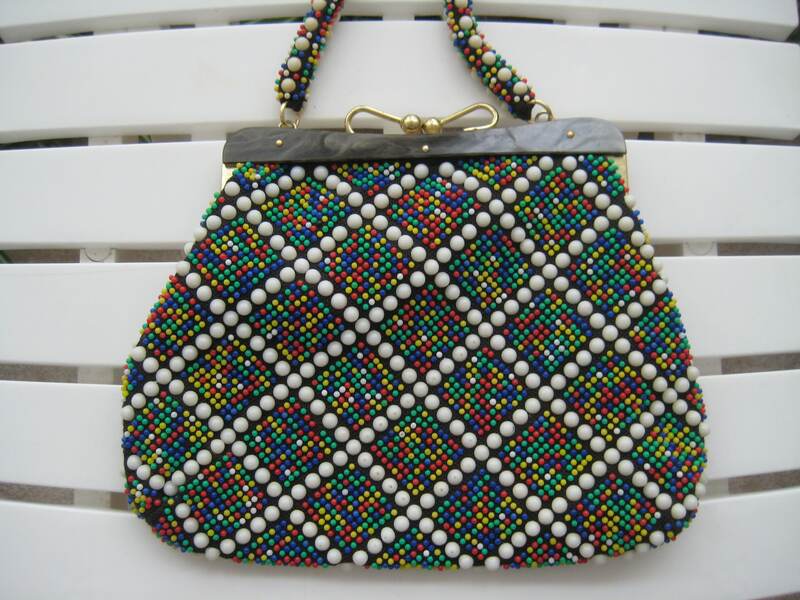 A-line cloth bag covered on two sides with white Lucite beads in a diamond pattern, filled by smaller, jewel-tone beads. Colorful and fun bag to rock with skinny jeans and heels! Gold tone metal attachments and frame accented along the top with a gray marble-looking Lucite trim. Bow tie look metal snap closure. Matching beaded top handle with a 6 inch drop. 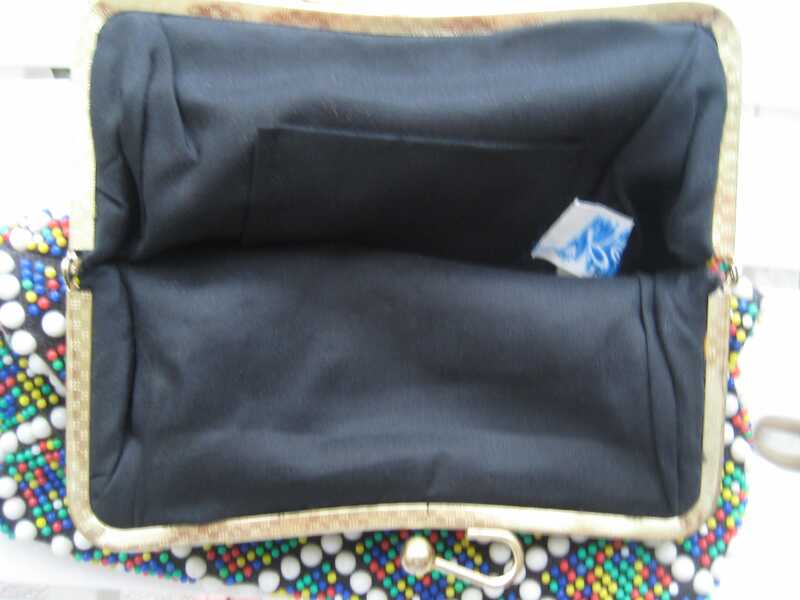 Mint condition black polyester interior with one patch pocket. Deep and roomy to hold all essentials! 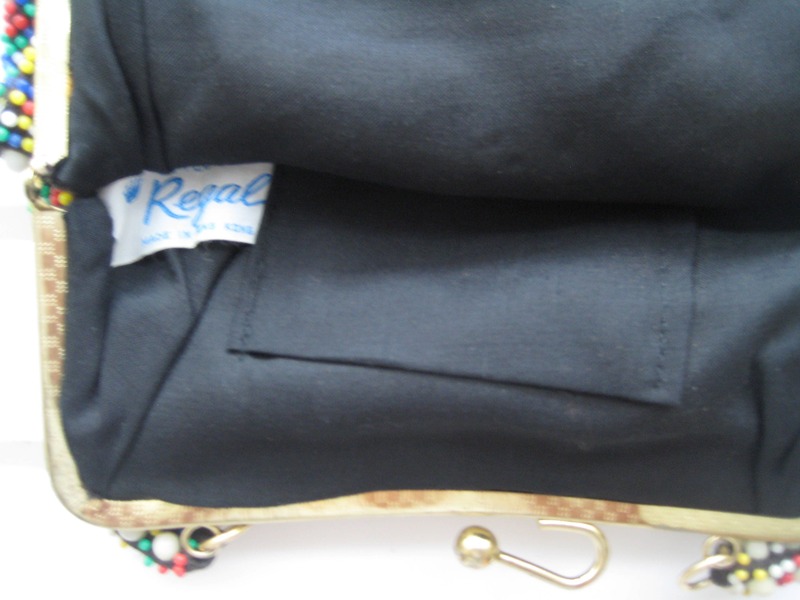 "Style by Regal" label. Made in Hong Kong in the 50's. 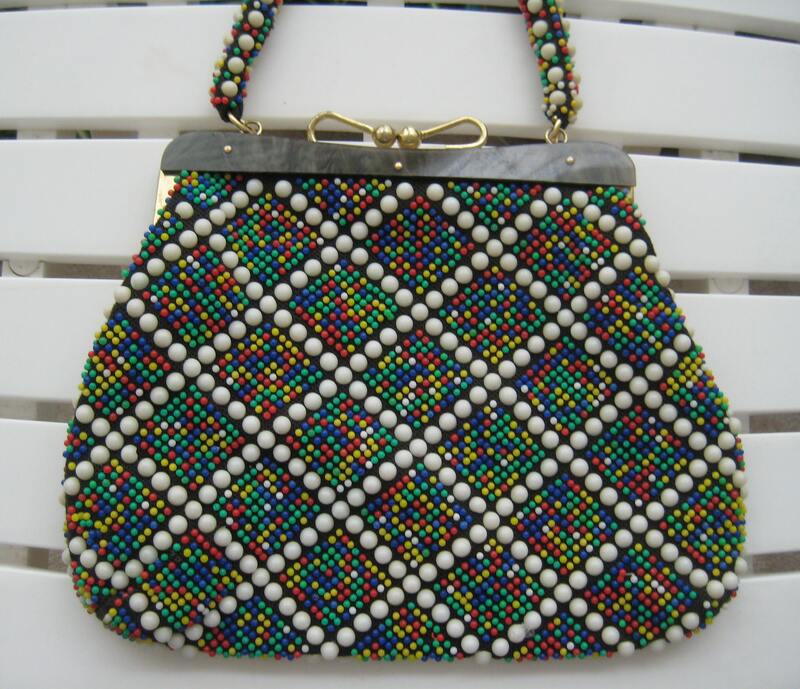 What a charming vintage handbag! Dimensions: 9 inches long at the bottom x 7.5 inches tall. Includes priority shipping in the U.S.